Published at May 9, 2007	in and . 0 Comments Tags: No Tags. 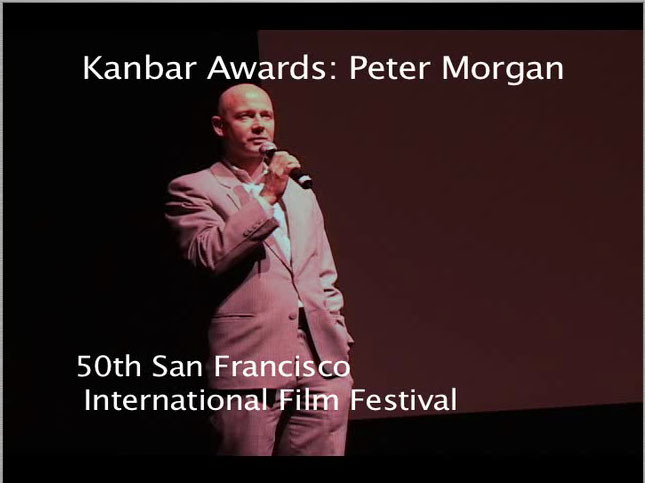 Peter Morgan talked at the 50th San Francisco International Film Festival where he received the Kanbar Award or excellence in screenwriting. Interviewed by film writer David Thomson, Peter Morgan talks about the people in his plays in films — such as Queen Elizabeth II and Idi AminÃ‚ — who most do not consider sympathetic in the‚ situations given, come out more human and interesting. Note: Apologizes for the color and white balance being off.